FPMT study groups are groups which are using this status as a probationary period before a group becomes a legal entity and a full FPMT center. FPMT Study Groups are not yet affiliated with the FPMT, and therefore do not have the same responsibilities as a center, financially or administratively. 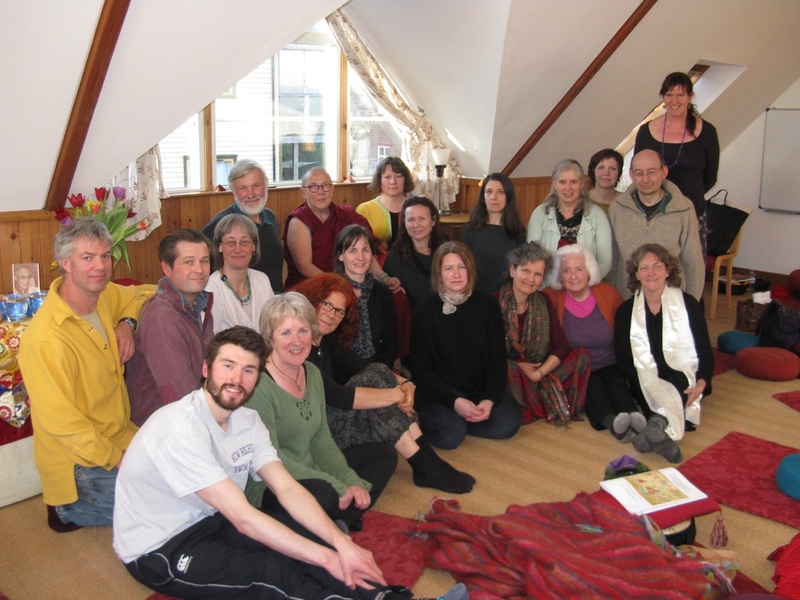 FPMT Study Groups are required to work towards becoming an FPMT centre. On the FPMT website there is a wealth of information, teachings and online study material. We provide integrated education through which people’s minds and hearts can be transformed into their highest potential for the benefit of others, inspired by an attitude of universal responsibility and service. We are committed to creating harmonious environments and helping all beings develop their full potential of infinite wisdom and compassion. Our organization is based on the Buddhist tradition of Lama Tsongkhapa of Tibet as taught to us by our founder, Lama Thubten Yeshe and our spiritual director, Lama Thubten Zopa Rinpoche.